The AW™ Series are advanced high-capacity, high throughput automated wafer C-SAM® instruments specialized to deliver maximum sensitivity for the evaluation of wafer and device level applications. The AW series can deliver better than 5 micron sensitivity, throughputs that are approximately two times faster than competitive systems and non-immersion scanners that eliminate false positives due to DI water ingression. The AW Series automatically handles, inspects and sorts wafers based on user-defined accept/reject criteria. 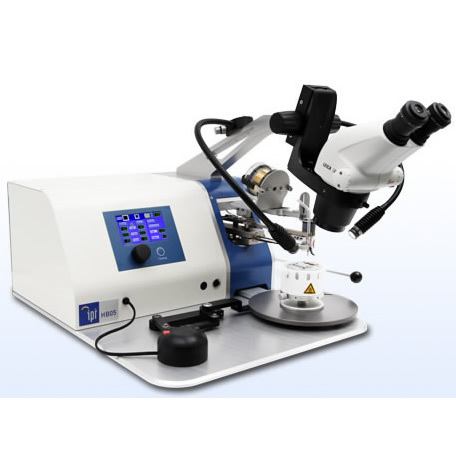 The system is designed to handle wafer level products (BSI sensors, SOI, MEMS, LEDs, Chip-on-Wafer and Unpolished Wafers) manufactured by virtually any method, including bonding processes using direct fusion, anodic, glass frit and epoxy bonding. The AW Series takes advantage of Sonoscan’s proprietary high acoustic frequency lenses, which are designed in-house, to obtain the most detailed images. Special lenses are required since the materials used in these applications, such as Silicon, Sapphire, Glass, GaAs, etc., can be very transparent to ultrasound. Delamination with the separation between the wafers as thin as 200Å Angstroms can be detected. The AW300 Series delivers fully automated inspection, is SECS/GEM compliant and can be customized to your requirements.